Pesticides are chemicals designed to kill or repel insects, rodents, plants, or mold in our crops, schools, homes, and play places. Children are primarily exposed through residues in foods. Exposures are linked to some cancers, neurological and behavioral problems, and acute poisonings. 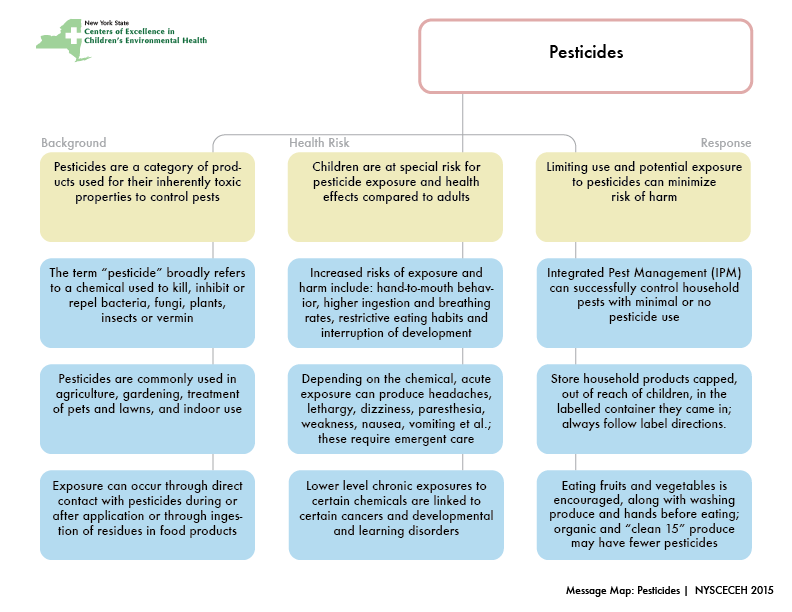 Informed choices and behaviors can prevent unnecessary pesticide exposures.